As one of the more pro-gambling states in the country, citizens are excited about any possibility in the development of legal Louisiana sports betting. Given some political advancements, legislators have allowed the residents to vote on whether they will bring the industry home and the majority seem to be on board. There are not many more things as exciting as watching a team like the New Orleans Saints win a game at home as you look at your betting ticket to see you also won money from a confident bet you placed earlier. 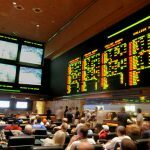 Options for legal sports wagering are currently available for residents to do this through the use of offshore online sportsbooks; however, more opportunities may be arising sooner than later as the state pushes for a legalized in-state industry. Our goal is to provide you with the laws regarding all forms of gambling within the state of Louisiana with the main focus being sports betting. We will discuss any location and possibilities for engaging in the hobby as well as what to look for and more importantly what to look out for. Once you become aware of the laws and possibilities, you can wager without any mental reservation and know exactly what you are doing is fully within the laws. 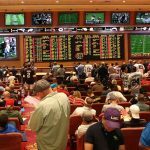 Is Land-Based Sports Betting Legal In Louisiana? Land-based sports betting cannot actually be located within the state as they have yet to set regulations regarding the industry. After a successful appeal of a former federal law known as PASPA, the Supreme Court ruled that states were granted the right to create their own standards for sports betting; however, Louisiana is still in the process of doing so. 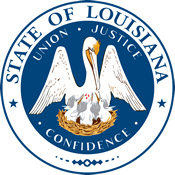 Any land-based sportsbook you may find in Louisiana will be unlicensed and it is advised not to wager in any establishment that openly takes bets. Using an unlicensed bookmaker can get both you and the business in trouble; moreover, if the operator does something unethical, there are no legal ramifications you can take to prevent or challenge it. Is It Illegal To Bet On Sports Online In Louisiana? There is no mention of online gambling within the Louisiana law code for a person attempting to make a wager. The only restriction for online gaming is for operating an unlicensed business in the state. However, as somebody who wants to lay their money down and play the odds, you will have no worries when looking to gamble online as long as you use an offshore sportsbook. Be sure to locate an operator that is licensed in their home country as unlicensed bookmakers can lead you down a spiral of trouble. The licensing guarantees that your account will be secure on a network as well as any funds that you enter into their online casino. Is There Anywhere In Louisiana That I Can I Bet On Sports? There are options for Louisiana residents to bet on sports but then will not be on-location. The only opportunity for legal sports betting in the state is to use an offshore operator that is fully licensed by their home country. In this manner, you can wager from anywhere that you like and be included in various promotions and reward programs that land-based casinos can’t even come close to offering. Our recommended sites include ones like Bovada.lv, SportsBetting.ag, BetOnline.ag, and 5Dimes.eu. These operators have years of experience in the game and have proven to be reliable as well as trustworthy. Be sure to check out their promotions as they constantly change and allow for free money to be earned by doing nothing more than signing up for a free account and making your first deposit. 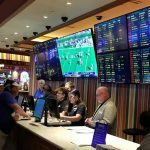 The closest place to bet on sports in Louisiana is from your computer or mobile device as there are no sportsbooks in the state. These sites offer the convenience and service of betting that you would find in states that do have legal sportsbooks. When the laws and regulations are set forth in the state, the cities with casinos and racetrack will likely be the first places to offer sports betting. Generally, the towns that are tourist attractions are the most popular locations for the gambling industry. However, if being in the heart of the action is for you and you want to experience the sportsbook experience, there are options that are within a short drive or flight. Neighboring state Mississippi was one of the first states to legalize sports betting and they offer many locations to engage in the hobby. Depending on where you are in Louisiana, you can find a sportsbook along the Mississippi River or Gulf Coast. Sports betting in Louisiana is not legal at the current moment but with the pro-gambling mindset of this state, it is unlikely it will stay this way for long. During the 2018 legislative session, lawmakers introduced two bills to legalize sports betting via a referendum; however, this was brought forth before federal laws made it legal within the country. Since the overturning of PASPA has occurred, legislators will likely introduce more bills or move forward with a voter referendum to see how the citizens feel about this topic. LA Rev Stat § 14:90 define all of the laws pertaining to gambling within the state. Gambling is defined as conducting a game where a person risks a loss in order to gain a profit. Casinos are able to be positioned in certain parishes – ones that are close enough to a waterway per riverboat gambling laws – and anyone over the age of 21 may participate in gambling activities. 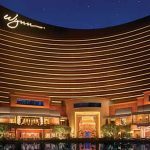 Casinos in the state offer electronic versions of roulette, craps, and various other “Class-III” gaming activities as well as many forms of card games from Blackjack and Poker to Pai Gow and Baccarat. Sports and Louisiana go hand in hand as the most popular team in the state, the New Orleans Saints, have fans dress up in costumes and scream all game long to support the “dome-field advantage” mindset. Additionally, the state is filled with colleges and universities that offer NCAA Division-1 powerhouse programs supported by those not only located within the state. You aren’t required to only wager on local teams with online sportsbooks as they offer betting lines for teams all over the world. However, local teams have a large following and when rivalries happen, their stadiums and arenas are far from quiet which makes betting on them even more interesting. Overseen by the Louisiana Racing Commission, horse racing betting is fully legal in Louisiana. In fact, this is one of the most popular forms of gambling in the state as the state offers four racetracks located in New Orleans, Opelousas, Vinton, and Bossier City. There are also over a dozen off-track wagering facilities (OTB) where races are simulcast for all to see. The laws have been supporting this industry for over sixty years and bring in many tourists for the racing events and if horses are your forte, the online operators we listed above provide racebooks so you can enjoy the events even more. Daily fantasy sports (DFS) is at a tossup within the state of Louisiana. The decision to legalize DFS was put to a vote where enough parishes approved of the industry. With this, the regulations and laws behind it have yet to be determined which caused the main operators, DraftKings and FanDuel, to remove their services for the time being. While Louisiana sports enthusiasts may have to hold off on DFS for now, it is likely that operators will enter the market in the coming year as the citizens approve of the agenda and the fact that DFS is active in about 80% of the US states. When it does come to Louisiana again, fans will be able to pick a team of players based on a salary cap and compete against others for a chance to win prizes, tickets, and other event promotions. Can I Bet Real Money On Sports In Louisiana? Real money can be used to bet on sports in Louisiana as long as you utilize a sportsbook that is located offshore and fully licensed by their home country. These sites accept various forms of payment, even Bitcoin and other cryptocurrencies, and have reliable payout methods to collect your winnings. Some methods take a few moments but you relax knowing the money is headed is your way. Is Online Sports Betting Safe In Louisiana? It is as long as you use the proper methods. Online operators that are located within the state or across state lines are not a safe method to use as they will generally be unlicensed. There is no real help you can get when using a bookmaker like this as they can put you at risk for identity theft or refuse to pay your winnings. However, offshore licensed bookmakers are safe as they use data-encryption to ensure your information is properly stored and secured. Will Sports Betting In Louisiana Ever Be Legal? There is a high likelihood as Louisiana is a pro-gambling state. With other forms of gambling already regulated within the state, sports betting will be the next activity as regulations and a taxation system is all they need to get started. The state already has an oversight committee in place as well as the infrastructure with racetracks and casinos located throughout the state. Will I Get Arrested For Sports Betting In Louisiana? In short, no. As long as you are using a reputable offshore sportsbook that is licensed, you will incur no legal problems or get arrested. However, there are things you can do that are against state law which could cause consequences. If you are using an illegal unlicensed bookmaker whether online or in person within the state of Louisiana, you are committing a crime. Therefore, we recommend using an offshore operator for your gambling needs. What Is the Sports Betting Age In Louisiana? While there are no laws stating a minimum sports betting age in Louisiana, it is advised to stick with the age of 21 to be safe. The state doesn’t have any form of legalized sports betting (yet); therefore, they have not made policies regarding its legality. Many online sportsbooks will accept bettors at age 18 but we advise following state laws that say casino-style gaming requires an age of 21. Are There Mobile Sports Betting Apps Available In Louisiana? The only mobile sports betting apps in Louisiana are provided by the offshore operators of sportsbooks. These apps allow for live in-play betting which helps you gamble on the go. 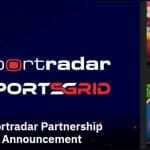 There is no need to be stuck to your computer to place wagers and the sportsbooks have advanced their technology to assist with that. All of the reputable bookmakers have secure apps, where your information will not be sold and provide up to the second line changes. Where Is The Best Place To Bet On Sports In Louisiana? This all comes down to preference as many operators provide different services for their customers. All of them offer bonuses and reward programs to keep you satisfied but do your research before joining an online sportsbook. If you are looking for the lowest minimums, check out 5Dimes.eu; moreover, if you are looking for a book that accepts and returns various forms of cryptocurrency, check out SportsBetting.ag. As long as the operator is licensed and offshore, you can pretty much guarantee that it’s a great place to bet on sports. Should I Use A Local Bookie In Louisiana? No, no, absolutely not! Local bookies are illegal per Louisiana state law. Moreover, if you think you can get by without tipping off the law enforcement, you are still at risk of having your money stolen from you, your winnings never paid out, or other uneasy situations. Don’t take the chance and just stick with a reliable offshore sportsbook where your identity and money are safe. Do Any Casinos In Louisiana Have Sports Betting? There are no current casinos with sports betting in Louisiana; however, the casinos or racetracks would be the first locations for legal sports betting once the legislators make it so. The infrastructure and oversight committee would make it easy to bring sports gambling to these areas and they are positioned all over the state. The only other option for the industry to take off would be by using a mobile platform. Is It Legal To Bet On Sports With My Friends In Louisiana? There are no laws that restrict what is called social gambling in the state of Louisiana. The only restriction is if you are at a gambling business so be sure to do it in privacy. It is important to understand, we are not lawyers and laws consistently change; however, if you are risking something for small dollars it is unlikely any legal action will be taken against you.